Everything I know about prayer, I learned from the late comedian and atheist George Carlin. 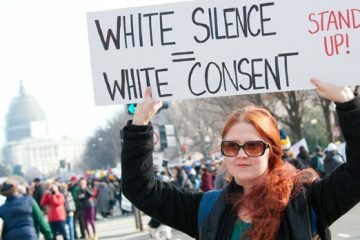 Well, maybe not everything. Long before I was old enough to listen to Carlin’s albums, I had learned the simple prayers we all learn as children: “God is great, God is good …”; Now I lay me down to sleep…”; and a common one in my house when I was growing up in New Orleans, “Please let Tulane to beat LSU this year” (that last one taught me a lot about patience, and that God doesn’t always give us what we want). But back to George Carlin, who made fun of how we think of prayer as a way to make God bend to our will – praying to win football games; praying a certain person who doesn’t know we exist will ask us on a date; praying that our annoying neighbor with the noisy dog will move away. 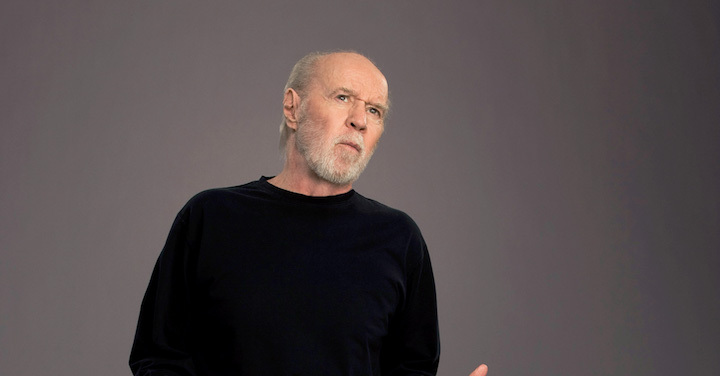 Carlin joked that he gave up on praying to God to fix everything, and he decided he’d pray to the tough-guy actor Joe Pesci – because Joe Pesci, especially Joe Pesci with a baseball bat, looked like a guy who could “get things done.” After a while, Carlin said, he noticed something: after all the prayers he made to Joe Pesci, about half of them worked out the way he wanted them to, and about half of them didn’t – about the same luck he had praying to God. Carlin’s satire compels us to ask, What is prayer? And, how should we pray? Baptist theologian Fisher Humphreys warns that genuine prayer is not an attempt to coerce or manipulate God into granting our wishes and desires. Yet, Humphreys says, prayer does make a difference, not because of the sincerity or the intensity of our words, but because God in God’s grace chooses to be attentive to our prayers. Interestingly, the Catholic layman Brother Lawrence suggests that prayer is our being attentive to God. Prayer is our choosing to be attentive to the Presence of God all around us. The Baptist-pastor-turned-Episcopal-priest John Claypool said that when we pray for other people, we are asking God to send some of our energy to the person we’re praying for, because they need some energy. Sharing God’s love “energies” with one another? It’s not an unfamiliar idea to Christian mystics throughout church history. Rienhold Niebuhr taught us to pray for the grace to accept with serenity things we cannot change, courage to change the things we can, and the wisdom to distinguish one from the other. He adds, that we will embrace (as Christ did) this world as it is, rather than rejecting it for not being as we want it to be. Try praying that for a week! Mother Teresa prayed that Jesus would deliver her from desires and fears – the desire of being loved, of being praised, of being popular; the fear of being humiliated, of being forgotten, of being wronged. Of course, Jesus said that when we pray, we should, among other things, pray for God’s will to be done on earth as it is in heaven, and for God to forgive us our debts and trespasses as we forgive others their debts and trespasses against us. Sometimes I think the most important thing about prayer is simply to keep at it. “Pray without ceasing, ” says the Apostle Paul. Or, to paraphrase Dory from Finding Nemo: Just keep praying! Just keep praying! Just keep praying! So, pray for healings. Pray for your needs. Pray for others’ needs. Pray for complete strangers. Pray for the whole world. Pray even for our enemies. Pray for the President and our Senators and Representatives. Pray for all elected officials. Jesus doesn’t care if you voted for or against them, but Jesus does tell you to pray for them. Pray for the soldiers fighting our wars. Pray for the people in power who keep finding reasons to go to war. Pray for the people out in the streets protesting the war. Pray for the innocent victims of all our wars. Pray for peace. Pray that you’ll have enough money to make it through the end of the month. Pray that God will help you let go of your money in order to be a blessing for others (it could be a matter of life or death for them, you never know). Pray for the living, and pray for the dying. Because even when we don’t get what we ask for, and when nothing turns out the way we want it to, we might discover that what prayer IS changing … is us.